First of all, thank you so much for Tim Hatcher and Dan Burkharth voice acting, so as Brad Reason for help on technical arrangements, they did a great work. To find this passage was a joy, rebuild on Second life even more. "Mozart is in a circle of respected composers explaining why he should be able to perform a vulger opera." It is said that Mozart began having problems with his reputation from this opera that satirized certain customs of the nobility. Wolfgang Amadeus Mozart it is pure genius. This story it is only fiction about how Mozart really were. The original scene happens on Schönbrunn Palace (imperial summer residence in Vienna, Austria.). As far Emperor Leopold I gave his architect Johann Bernhard Fischer von Erlach the order to design a new palace. Johann contemporary ideals tryed to top its role model Versailles. So as a producer (me) and since I dint found any Schönbrun Palace in-world, I thought the best approach it were the Versailles Palace. By Peter Shaffer adapted to Second life by spyvpyaeon. Salieri struggles with the fact that he himself is rather mediocre, despite his desire to glorify God (though he did not recognize this mediocrity before he met Mozart), while Mozart is a genius while acknowledging no God other than his own desires. In the Peter Shaffer story (inspiration for the Amadeus movie). Mozart arrives in Vienna with his patron, Count Hieronymus von Colloredo, archbishop of Salzburg. While Mozart Salieri secretly observes, the palace of the archbishop, without being presented to it, and one person perceives as irreverent and lascivious, while recognizing the immense talent of his works. In 1781, when Mozart is presented to the emperor, the young composer Salieri presents a "March of Welcome" he had some work to finish, this same meeting, Mozart shows for the first time his traditional childhood laughter, which is heard the rest of the movie. After hearing the motion only once, Mozart spontaneously "improvise" with the piece, without much effort, and turns the "game" of Salieri in the melody of the aria "Non più andra" from his opera The Marriage of Figaro.Mozart is in a circle of respected composers explaining why he should be able to perform a vulger opera. Some fine research into Mozart's annoying personality doesn't really make up for the fact that the entire premise of this short of the original movie (that dont show this part) that Salieri loathed Mozart and plotted his demise is probably not true. What about Mozart's monologue to the Chamberlain, Prefect and Salieri? 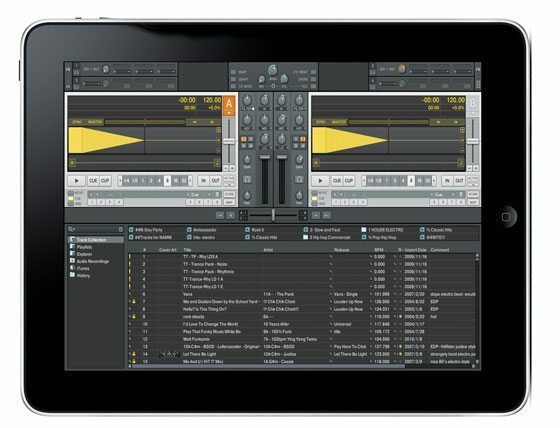 What if every underground artist had a way to see what DJs are playing their tracks in the clubs? What if they could not only see who’s playing their tracks, but could see what time the DJ played their track, what country, and even got a message the minute their track was dropped in the club? And even better, what if the artist could actually get PAID for their track getting played? 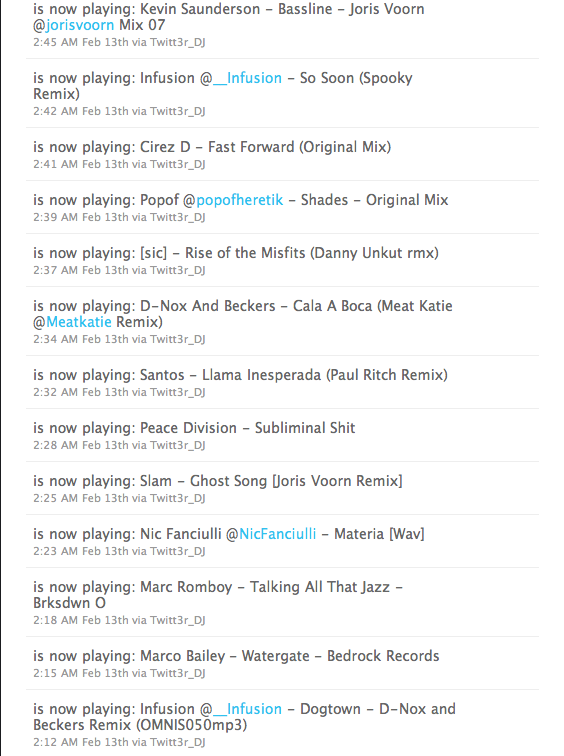 Thanks to a new technology called Twitter DJ this is all possible now. Seeking contributors and volunteers to participate in an SL exclusive fundraising effort to support recovery efforts from the ongoing gulf oil-spill. The event will run from July 1st - 15th, and will have lots of events and publicity associated with it, as well as a vendor merchandise area with donated items for sale! Development and deployment of the National Wildlife Federation's Gulf Coast Surveillance Teams, a volunteer network that is being organized to monitor the coast for wildlife impacted by the oil spill. Beyond the initial surveillance needed, this effort will then shift to long term volunteer restoration programs. Restoration of vulnerable nesting and breeding grounds, as well as other delicate ecosystems found throughout the Gulf Coast for water birds, sea turtles and other animals. Public education about the oil spill and its impacts on wildlife, including our online efforts at www.nwf.org/oilspill and informing the press and others about the impacts the oil spill is having on coastal communities and wildlife. Policy work at the national and state level to support restoration of habitat in the Gulf Coast and better protection of our waters and coastlines. You can read more about their efforts on thier website! On the tabs at the top of the page locate what best fits your area of interest and follow the instructions on that page! If your area of interest is not specifically detailed above, then please contact Tidal Shoreland directly via notecard in-world. Craig Lyons and other indie artists are leading the charge in the virtual online world. It's a way to earn a living, promote their music, expand their fan base and support causes they believe in. Musician Craig Lyons poses with his avatar from Second Life. "If I could get some bubbles, I'd be forever indebted," singer Craig Lyons tells the packed house at his Monday night gig. The crowd promptly complies, filling the room with bubbles while Lyons plays his tune "Under Water." Two nights earlier, the audience made it snow as he strummed the chords to his song "Winter." Strangely enough, the Los Angeles-based singer-songwriter has come to expect this type of supernatural behavior at his shows, which take place several times a week in Second Life, the virtual online world that allows users to interact with one another as avatars. Despite declining media coverage after a few years of overexposure, Second Life lives on, and within its virtual borders a music scene has been thriving, with independent artists such as Lyons leading the charge. These artists are earning livings, promoting their music and supporting causes they believe in by performing in this virtual space, which has approximately 1 million users each month. In addition to collecting fees from Second Life venues (there are more than 3,500 known to exist), musicians are often paid handsomely by fans who tip using the Second Life currency, Linden dollars, which is exchangeable for U.S. dollars via a number of websites. Users can buy and sell the currency at a fluctuating exchange rate that usually hovers around 265 Linden dollars to one U.S. dollar. Lyons typically earns $100 to $200 per show, and he often plays as many as three gigs in one day for audiences logging into Second Life from different time zones. The 3-D virtual world was launched in 2003 by Linden Lab, a company founded by technology guru Philip Rosedale, who was named one of Time magazine's 100 most influential people in the world in 2007. In Linden Lab's alternate universe, people can interact with one another, teleport themselves to exotic virtual locales, buy houses, cars and clothing and amuse themselves with countless forms of virtual entertainment. Lyons, who has released four albums of introspective pop-rock songs that have appeared on "So You Think You Can Dance," "The Real World" and other shows, believes Second Life provides an ideal platform for artists to broaden their fan bases by reaching people around the globe they wouldn't be able to connect with under normal touring circumstances. "It feels really nice to reach people who wouldn't be able to see these shows otherwise — be it single parents, physically handicapped people who can't get out of the house, or people who can't afford a $15 cover charge and drinks at the bar," he says. The Ohio native's easy charm and charisma heighten his appeal in this interactive environment, as do his matinee-idol good looks, which incite swooning from several fans. Second Life concertgoers attend gigs as avatars at virtual venues that often resemble "real-life" nightclubs or outdoor amphitheaters. The performances often include live streaming videos from the artists' own studios, while the performers' avatars play on the virtual stage below. During the show, fans mingle and use a local chat feature to applaud, comment on the tunes and even flirt with one another. It doesn't faze Lyons that the fans filling the rooms are avatars. "Some people are selective about their fan bases. I think that's crazy," he says. "They don't connect the dots and see that they are real people having a real experience." A three-dimensional "widget" on the side of the stage connects fans to Lyons' music on iTunes, as well as his MySpace and Facebook pages — all of which have seen an increase in traffic since he started performing regularly in Second Life. ctive experience that the virtual platform provides can actually surpass that of traditional live gigs. "Gigs in Second Life are a special experience," says Harbison, who lives in Dublin, Ireland. "The interaction between musician and audience makes it special, something that you just don't get at a show in a packed-out venue or bar in real life." Since Second Life's launch, a handful of major acts, including Duran Duran (Doubledown Edit: Duran Duran never performed in Second Life and press continues to make this error), Suzanne Vega and Ben Folds, have performed or held events in the virtual platform, but none has made a broad impact. "Over the years, Second Life didn't match the hype," says Nelson Gayton, executive director of the Center for Management of Enterprise in Media, Entertainment and Sports at UCLA. "The technology wasn't quite caught up with what people envisioned it to be." But now, he says, "There's no reason to believe that this isn't a viable platform to experience or promote music. Why not perform in a virtual space instead of going through the challenges of performing in a live space? It's another platform to promote your talent and whatever it is you want to express so people can experience what you have to say." Missouri indie rockers the Follow, who also perform regularly in Second Life, recognize the convenience these virtual gigs offer fans, and see it as the next logical step in the evolution of social networking. "It's so easy in Second Life — you can teleport your friends immediately, and you don't have to get dolled up," says bassist Amy Rickertsen. Drummer Mat Matlack adds: "Once people experience Second Life, it will drive people there. The music scene will give them something to do and create an environment for social mixing. It's Facebook on steroids." Lyons, a self-professed environmentalist, points out another beneficial aspect of this type of virtual gigging. "I legitimately think that it's the most sustainable method of performing for an artist these days, both environmentally — because you can reach the entire globe without burning gas — and financially." Lyons streams most of his Second Life gigs from his Santa Monica home studio using a basic Web cam and a microphone. He also created an entire music video in Second Life for his ambitious, strings-laden cover of the Beatles' "Across the Universe." The 6-minute video features the avatars of friends, fans and musicians who volunteered their time and talents to create the video. 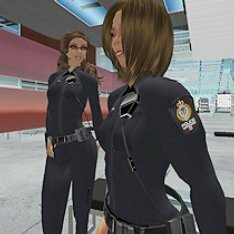 "Right now, [performing in Second Life] is kind of like the Wild West, but I don't think that will be the case soon," says Lyons. "I think it will be widely accepted and possibly even necessary for any kind of artist in the near future." If you've listened to pop music in the past 40 years, you've probably heard more than a few songs with a robotic sound. 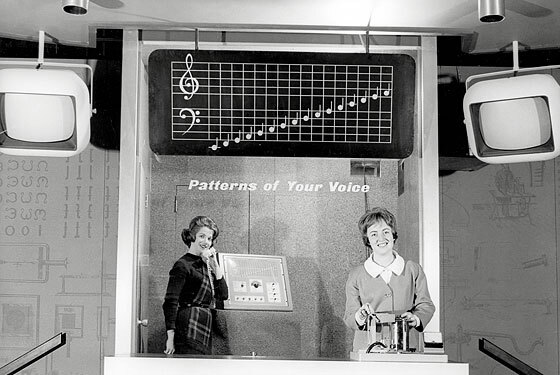 That's thanks to the vocoder, a device invented by Bell Labs, the research division of AT&T. Though the vocoder has found its way into music, the machine was never intended for that function. Rather, it was developed to decrease the cost of long-distance calls and has taken on numerous other uses since. Music journalist Dave Tompkins has written a book about the vocoder and its unlikely history. It's called How to Wreck a Nice Beach: The Vocoder From World War II to Hip-Hop. Tompkins says the machine played a significant role in World War II. After the U.S. government discovered that Winston Churchill's conversations with Franklin D. Roosevelt were being intercepted and deciphered by the Germans, it decided to invest in speech-encoding technology. So the National Defense Research Committee commissioned Bell Labs in 1942 to develop a machine — and Bell Labs delivered. The vocoder wasn't without its flaws. Intelligibility of speech sometimes proved a problem, but Tompkins says pitch control was a bigger concern. "They didn't mind world leaders sounding like robots, just as long as they didn't sound like chipmunks," he says. "Eisenhower did not want to sound like a chipmunk." The RMG IDOL COMPETITION is a Live Music Competition that showcases the Finest Talent in Second Life. This is an opportunity to expose the Thriving Music Community within Second Life to the Real World Music Industry. on an Upcoming Halogen Records Compilation CD. including Local Publicity/Promotion for event. RL Exposure as a part of RMG Idol Publicity Campaign. exposure opportunities, as well featured artist status on IRMGRadio.com. Open calls are currently scheduled for Monday, June 21 and June 28, 2010 from 6-8pm SLT. Any SL musician, singer, artist, performer, or group, may participate in the open call. During open call events, each entrant will have a total time of up to 5 minutes to perform their song, and accept review by the judging panel. Should the number of Open Call registrants exceed capacity for the time scheduled, additional dates will be added to accomodate any and all participants. All performers must complete a Registration Form at http://www.RMGIdol.com, and meet the minimum performance requirements. Registrants will be scheduled to perform at the specific time assigned by RMG Idol staff, based on the order of registration. Deadline for registrations is 11:59pm SL on Friday, June 18, 2010. RMG Idol is open to any Second Life musical performer. All participants throughout the competition, will need the ability to log into the RMG Idol stream, and encode their performance during their alloted time. While the Open Call is open to any SL Resident, it is recommended that all registrants have at least some experience performing in Second Life. There is no cost to participate in the RMG Idol Competition. Up to Twenty Contestants shall be selected for the competition phase of the contest at Open Call events. As RMG Idol is a competition based on Talent, performers from all walks of the SL Music Scene are encouraged to enter this competition. Each Performer will have the opportunity to perform 1 song for the Judging Panel, and receive constructive criticizm from each judge. IT IS ENCOURAGED THAT THE ARTIST PERFORM THEIR BEST ORIGINAL OR COVER SONG FOR THE OPEN CALL. The Judging Panel, at its sole disgression, shall select the Contestants that will move on to participate in the RMG Idol Competition. From the starting pool, Contestants will compete against each other to determine who continues on with the contest. Weekly eliminations will be based equally on Popular Vote and Judging. Popular Vote will be conducted through Voting Boards at the host venue, as well as at participating Venues and Sims across Second Life. Top Vote getters that also receive the majority of votes by the Judging Panel, will move on to the following weeks show. As contestants are eliminated each week, remaining contenders will be given the opportunity for more time in front of the judges and audience. CONTESTANTS ARE ENCOURAGED TO PERFORM THEIR BEST ORIGINAL OR COVER SONGS! Due to Performance Rights Obligations, Artists with Original Music will be favored by the Judging Panel. As Audience Voting is an equal part of the competition, all artists are encouraged to "bring out their crowd" to the performance venue or satellite stages, where Voting Boards shall be placed. Anyone can vote as often as they like for each artist on the RMG Idol Vote Board, at a cost of 50 L$ per vote. Proceeds from Voting Boards will be split, with each contestant receiving 25L$ for each vote cast on their behalf. To allow fairness to all contestants, voting will commence immediately following each show, and will be open until 11:59 pm SLT the following Sunday. Votes will be tabulated for each artist with the Elimination held at the beginning of the subsequent week's show on Monday. The final 2 contestants will be selected based on Popular Vote from the 2 week voting period prior to the Finale. This same criteria will also be used by Judges throughout the competition. Voting will make up 50% of the competition, with the final 2 contestants chosen by Popular Votes. Then, the final 2 contestants will each perform a 15 minute set for the Judges, who will deliberate to determine the winner, based on this criteria. Judges will include non-Second Life executives from Relax Music Group and Halogen Records. Guest Judges from the RL Music Industry will also participate. Bones Writer from Trax Live Music Resource Center shall serve as the SL Judge. The competition will be hosted by Trick Rembrandt (Patrick Rule, RMG Co-CEO) and broadcast on IRMGRadio.com. All Runners-Up will be invited back for a Final Performance, with the Winner closing the show with a final song. The first place and runner up winners shall receive prizes as listed above. All Contestants will receive airplay and exposure though IRMGRadio.com, RMGIdolSL.com, and participating partners web sites. A national publicity campaign conducted by Halogen Records will also occur throughout the competition to expose all the participating artists to the RL Music Media. As this is a promotional opportunity based in RL, it will bring the Live Music Community in Second Life a great deal of exposure with the real world entertainment industry. Relax Music Group is committed to exposing the Thriving SL Music Scene throughout the Music Industry, giving deserving SL performers opportunities to advance their careers in RL, as well as RL performers their introduction to the SL Music Scene. RMG Idol will be held at various venues throughout Second Life and broadcast on IRMGRadio.com online and across the grid. The show format will be hosted by an SL Personality, with each Contestant given an equal amount of time to perform. Multiple Venues, Sims, and Shops will be encouraged to Sponsor RMG Idol, host Voting boards, receiving mentions in the IRMGRadio.com stream in exchange for carrying the competition. Again, Voting will commence following each weeks show, allowing people ample time to vote for their favorite performer. Eliminations will be announced at the beginning of each week's show, commencing on July 23. The Show Host and Judges will be linked to the broadcast via Skype, with each judge weighing in on the merits of each artist. Judges will comprise members of Relax Music Group, Halogen Records, and Distinguished Members of the RL and SL Music Community. While Voting will predominate the majority of a contestant's score, the Winning Contestant will require a combination of winning votes and Judge's Consensus. The RMG Idol Winner, will be offered a recording contract with Halogen Records and featured on an upcoming Compilation CD release. The Winner and 5 Runner's Up will receive an 8 week Radio Promotion Campaign through RMGDigital.NET, receiving airplay across their network of Registered Programmers at College and Public Broadcast Stations and Internet Streams. Timed for promotion throughout the Fall College Radio Season, the Winner and Runner's Up will receive Prime Airplay Exposure, generating even more interest for the Live Music Scene in Second Life. Please note: Finalist and Runners Up must provide Original Recordings, or procure Performance Rights to any Cover Material that is Released, Distributed and Promoted following the RMG Idol Competition. All registrations must be made at http://www.RMGIdol.com. Once we receive your completed registration form, you will be assigned a performance slot for one of our Open Call events. You will also receive, via the E-Mail Address you provided with your Registration, a complete information packet on or before June 19, 2010. Should you have any additional information requests, contact Patrick Rule via e-mail at patrick (at) relaxmusicgroup.com. *Please Note: We are planning a Special Open Call Event for artists outside of US Time Zones. European and Asian artists, please REGISTER so we can make arrangements to accomodate your time zones. Second Life Venue Locations will be announced on June 19, 2010! Social Media Revolution 2 is a refresh of the original video with new and updated social media and mobile statistics that are hard to ignore. Based on the book Socialnomics by Erik Qualman. POLL: Did you read the new Linden Lab/Second Life Terms of Service (March 31st, 2010)? Major Second Life changes - ARRRGGGGGHHHH! Muse Isle, established in April 2006, is one of the original live music & art venues in Second Life. They are also the home island for RDV Animations – creators of Rendezvous “Walk, Fly & Swim together “ animators. Muse Isle is proud to be an event partner for Metanomics and invites you to join them for engaging chat , laughter & friendship.